Four cables from Cathay, courtesy of this excellent Cable Search tool. The first cable (Cable 1) is one of the last dispatches of Ambassador to the PRC Clark T. Randt, a long, analytical piece from January 2009. But it’s also perhaps the least interesting of the four. This is because it is only a rehashing of the standard narrative that can be found on most editorials on the subject: the post-Mao economic liberalization; fast industrial expansion; pollution and demographic problems; etc. China’s prospects are underestimated, as I’ve argued in the past. For instance, he cites projections that China will overtake Japan in five years years and “could rival the United States in overall scale” by the late 2030’s. But these are surely very, very pollyannish (from the US perspective) since in actuality China overtook Japan this year (2010) and its real GDP is already 70% of America’s. The real threat to Chinese – AND global – growth prospects are resource constraints. Surprisingly, perhaps, for a US government official, Randt cites estimates having China reach peak oil in the early 2010’s and peak coal “in the next 15 to 25 years” (I think coal production will plateau as early as 2015). However, these shortages will be partly mitigated by huge alternative programs – he cites China as being the world’s largest producer of renewable power and Cable 3 mentions plans to construct 70 new nuclear power plants in the next decade. He is almost certainly wrong in his optimistic ideas that China will buy into the US global order, rather than seeking to remake it in its own images (as all aspiring hegemons try to do). To take an example, the wish that China will make itself into a “reliable partner” for the US and other donor countries is put into question by Cable 4 from the very same embassy, in which a Kenyan ambassador expresses an African preference for Chinese aid over Western “conferences and seminars”. The cable finishes with some platitudes about the US needing to “push for the expansion of individual freedoms, respect for the rule of law and the establishment of a truly free and independent judiciary and press”, which must surely have the publisher of this cable spinning in his British prison cell. The second cable (Cable 2), from July 2009, is a very informative, but short (so recommended reading), introduction to three major interpretations of Chinese politics: as “akin to… the executive suite of a large corporation, as determined by the interplay of powerful interests, or as shaped by competition between “princelings” with family ties to party elders and “shopkeepers” who have risen through the ranks of the Party.” In the first interpretation, Party General Secretary Hu Jintao is the CEO, with the 25 other members of the Politburo aiming for consensus in decision making. The Politburo members are also oligarchs in practice, having their own vested interests and administrative-economic clans. (BTW, this political system of corporate clans and fusions of economic and political power bears some resemblance to Russia’s). Many casual observers continue to see China as a sweatshop manufactory of cheap, unreliable goods (poisonous toys, etc) produced by exploited workers on starvation wages, but this is very rapidly diverging from reality. The third cable (Cable 3), from February 2010, has a few examples. With just a fraction of the science and technology funding of developed country universities, Chinese institutions are managing to produce ground-breaking work in esoteric spheres such as nuclear fusion, quantum communications and nanotechnology. Of course, not all of them are “pleasant” advances, and reflect the Orwellian instincts of the Chinese state, such as a biometric sensor designed to identify people by how they walk. An authoritarian state, but one with hi-tech visions that are fast becoming realities. Finally, one more piece of news on China, not Cablegate-related. As regular blog readers know, I think that educational capital and more broadly average IQ levels are one of the key – and frequently under-appreciated due to political correctness – determinants of economic development and whether or not convergence to developed country levels is even possible. Its much higher educational capital is one of the key reasons why I think China will continue doing much better than India in development, regardless of its “democratic deficit.” However, many people argue that China’s human capital must actually be quite low, because it doesn’t spend much on education, resources are bare in the provinces, statistical fudging under unaccountable governors, etc. ¶1. (C) January 1, 2009, marked the 30th Anniversary of the establishment of diplomatic relations between the United States and the People’s Republic of China. This anniversary followed the PRC commemoration of roughly 30 years of China’s “reform and opening” policy under Deng Xiaoping, which led to China’s staggering economic growth. ¶2. (C) Thirty years ago, China was just emerging from the nightmare of the Cultural Revolution and 30 years of fratricidal misrule. China’s economy was crippled by years of disastrous policies like the Great Leap Forward. The population was coming to terms with the world’s most draconian population controls enacted in 1976 after decades of Maoist state-subsidies encouraging large families. Chinese foreign relations tended to be more influenced by ideological yardsticks than economic links since China had very few commercial links with the outside world. In 1979, Chinese urbanites on average made the equivalent of five dollars per month. ¶3. (C) Just as no one in 1979 would have predicted that China would become the United States’ most important relationship in thirty years, no one today can predict with certainty where our relations with Beijing will be thirty years hence. However, given the current significance of the bilateral relationship and the risk of missing opportunities to jointly address ongoing and predictable future challenges, below we look at trends currently affecting China with an eye to how those trends might affect relations. Several issues leap out, including China’ insatiable resource needs, our growing economic interdependence, China’s rapid military modernization, a surge in Chinese nationalism, China’s demographic challenges, and the PRC’s increasing influence and confidence on the world stage. ¶4. (C) China has been plagued over the millennia by unforeseen events that devastated formerly prosperous regimes. Mongol invasion, the Black Death, uncountable peasant uprisings, warlords, tax revolts, communist dictatorship, colonialism, famine, earthquakes and other plagues were largely unforeseen by the China watchers of the past. This report focuses generally on more optimistic projections. Given China’s history, however, the United States should also gird itself for the possibility that China will fall short of today’s mostly sanguine forecasts. ¶5. (C) Popular and scholarly works in recent years highlight China’s growing demand for natural resources and the possible impact that China’s pursuit of resources will have on its foreign policy. Since economic reforms began in the late 1970s, industrial and exchange rate policies have fueled investment in resource-intensive heavy industries in China’s coastal region, which currently account for approximately 55 percent of the country’s total energy consumption today. A construction boom over the past decade has also stimulated growth in heavy industries. China is now a leading steel producer and currently accounts for 50 percent of the world’s annual cement production. Reflecting China’s emphasis on resource-intensive industries, China’s energy utilization rate grew faster than its GDP between 2002 and 2006. In 1990, China consumed 27 quadrillion British Thermal Units (BTUs) of energy, accounting for 7.8 percent of global consumption. In 2006, it consumed 68.6 quadrillion BTUs or 15.6 percent of the global total. According to U.S. Department of Energy statistics, by 2030 China will account for 145.5 quadrillion BTUs or 20.7 percent of global energy consumption. Venezuela, Angola, and the Caspian Basin. ¶7. (C) China has also increased its reliance on imported minerals, and many analysts have attributed the global commodities boom of recent years in part to China’s growing demand. Between 1980 and 2006, China became the world’s largest consumer of iron, copper and aluminum. Chinese conglomerates are ubiquitous in sub-Saharan Africa exploiting mineral wealth there, and Chinese multinationals have significant investments in Australian mineral and uranium production. ¶8. (C) China’s reliance on coal has come at an appalling environmental cost. This year, China surpassed the United States in carbon emissions, and it will soon become the world’s biggest energy consumer. Between now and 2030, the IEA estimates, China will need to add 1,312 gigawatts of power generating capacity, more than the total current installed capacity in the United States. Coal-fired power generation, a major source of air pollution, accounts for approximately 78 percent of China’s total electricity supply, and it will likely remain the predominant fuel in electricity generation for at least the next 20 years. Analysts predict that domestic coal production will peak in the next 15 to 25 years. China already became a net importer of coal in 2007, and coal imports are expected to grow in the coming decades to meet growing demand in China’s coastal provinces. ¶9. (C) The Chinese Government recognizes the need to reduce dependence on coal, and it is pursuing policies to diversify its energy mix. China is already the largest producer of renewable energy in the world, with major investments in large-scale hydro and wind power projects. Nuclear and natural gas power will also account for a greater proportion of energy production, but under current projections, efforts to diversify China’s energy mix will not have a large enough impact to curb greenhouse gas emissions growth. ¶10. (C) China’s energy intensive growth has also had tragic consequences for public health. By most measurements, at least half of the world’s most polluted major cities are in China. Rural residents, in particular farmers, have been affected by water pollution and dwindling water supplies, which are frequently redirected for industrial use. Respiratory disease, water-borne illness and tainted food scares are facts of modern life in the country. According to a recent WHO study, diseases caused by indoor and outdoor air pollution kill 656,000 Chinese citizens every year. Another 95,600 deaths are attributed annually to polluted drinking water. ¶11. (C) China’s increasing reliance on imported natural resources has foreign policy ramifications and provides opportunities for the United States. A China that is increasingly dependent on Middle Eastern oil might be more likely to support policies that do not destabilize the Middle East. Take Iran, for instance. We have long been frustrated that China has resisted (with Russia) tough sanctions aimed at curbing Iran’s nuclear program. In the future, a China increasingly dependent on foreign energy supplies may recalculate the risk a nuclear Iran would pose to the greater Persian Gulf region’s capacity to export oil. ¶12. (C) Another opportunity presented by China’s increasing resource consumption is in the joint development of technological responses to reduce carbon emissions and to diminish the public health impact of industrial growth. Scientific publications around the world conclude that the projected rate of global energy and natural resource consumption is unsustainable. Experts warn that we must find alternative forms of energy in order to avert calamities posed by global climate change. International efforts to develop and significantly utilize renewable energy, clean up our shared global environment, and conserve our remaining raw materials will not be effective without meaningful Chinese participation. As the world’s preeminent technological power and as a leader in multilateral energy and scientific organizations, the United States is in a unique position to work with China to overcome these challenges. ¶13. (C) In the next fifteen years, while China’s overall population is predicted to stabilize, its urban population will likely grow to almost 1 billion, an increase (of 300 million people) equal to the entire current population of the United States. China plans to build 20,000 to 50,000 new skyscrapers over the next two decades — as many as ten New York cities. More than 170 Chinese cities will need mass transit systems by 2025, more than twice the number now present in all of Europe. China is now surpassing Germany as the world’s third largest economy and is projected to overtake Japan within the next five years. By the end of the next thirty years, China’s economy could rival the United States in overall scale (although its per capita income will likely only be one quarter of the United States’). ¶14. (C) Behind these outward symbols of success will be an increasingly complicated economic picture. Since 1979, by reversing the misguided economic policies of the Mao era, liberalizing labor markets and prices, opening to foreign investment, and taking advantage of the West’s consumer-driven policies, China has maintained fast growth. However, the set of circumstances that allowed such impressive growth rates will no longer exist in the future. ¶15. (C) Many speculate that China has reached the limit to easy productivity gains by rationalizing the state-planned economy. The Economist Intelligence Unit expects China’s annual growth to slow from around 10 percent in the last 30 years to 4.5 percent by 2020. After 2015 when the labor force peaks as a share of the population, labor costs will rise faster. This will increasingly make other countries like India and Vietnam more attractive for labor-intensive investment. In addition, workers will have to support a growing number of retirees. Early retirement ages combined with the urban one-child limits creates the so-called “4-2-1” social dilemma: each worker will have to support four grandparents, two parents and one child. Savings rates will start falling as the elderly draw down their retirement funds. ¶16. (C) China will have to manage an economy increasingly dependent on domestic consumption and service industries for growth. Already, urbanites are buying 1,000 new cars per day, making China the world’s largest Internet and luxury goods market, and traveling abroad in growing numbers. By 2025, China will have the world’s largest middle class, and China will likely have completed the transition from the majority rural population of today to a majority urban population. These consumers of tomorrow will likely flock to products from around the world as their North American, European and Japanese counterparts do today, providing new opportunities for American business. If incomes continue to grow, it is likely that the Chinese middle class will react like educated urbanites in other countries by exerting pressure on the Government to improve its dismal performance on environmental protection, food and product safety. We are already seeing increased public activism over such issues today. ¶17. (C) China will face a challenge in the next thirty years encouraging this urban consumption while dealing with the social equality issues inherent in a rural population where over 200 million people still live on less than a dollar a day. China will also have to find a way to improve the lot of between 150 and 230 million migrant workers who today must leave their children and aging parents behind in their home villages to travel to the industrial centers of the relatively developed coastal regions to work in factories or on construction projects. ¶18. (C) With China’s phenomenal growth has come increased economic interdependence. This will likely increase, although some of the less-balanced elements of China’s economic interactions should be mitigated. Rising consumption rates should work to lower China’s trade surplus as well as its overabundance of foreign exchange reserves. More assets controlled by corporations and individuals, as opposed to the government, will diversify outward investment, reducing political control by Beijing, but also the utility of political suasion for U.S. policymakers interested in effecting the flow of capital to international hotspots. ¶19. (C) As one of two main pillars of post-Mao Chinese Communist Party rule (the other being sustained economic growth), Chinese nationalism is growing and should be monitored closely. As witnessed during the 2008 Beijing Olympics, Chinese are increasingly proud of the tremendous strides their country has made in recent years. More and more young people see China as having “arrived” and might possess the confidence and willingness to assume the responsibilities of a major power. However, as was evident during protests over the 1999 mistaken bombing of the Chinese Embassy in Belgrade, the 2004 protests over Japanese textbooks, and more recently the anti-France diatribes that followed the roughing-up of a disabled Olympic torch bearer in Paris by Free Tibet supporters, this nationalism can also lead to jingoism. Chinese leaders of a system with few outlets to express political sentiments are faced with trying to give vent to the occasional uprising of nationalistic anger without letting it get out of hand or allowing it to focus on the failings of the central leadership. ¶20. (C) With notable exceptions like Zhou Enlai, Chinese foreign policy practitioners thirty years ago had little practical experience dealing with the West. Since then, Chinese diplomats and subject matter experts are increasingly well-educated, well-traveled and well-respected. Chinese diplomats at international fora such as the UN and the WTO have become adept at using procedural rules to attain diplomatic or commercial ends. This trend will likely continue in the coming decades, increasing the likelihood of American decision makers finding more able adversaries when we disagree on issues, but also more able partners where we can agree to jointly tackle a problem of mutual concern such as nonproliferation, alternative energy or pandemic influenza. ¶21. (C) While still reluctant to claim China is a global leader, Chinese officials are gradually gaining confidence as a regional power. By the end of the next 30 years, China should no longer be able to portray itself as the representative of lesser developed countries. This does not mean that it will necessarily identify with the more developed, mainly Western countries; it well might choose to pursue some uniquely Chinese path. In the coming 30 years, a U.S. President might be involved in negotiations with a Chinese leader seeking to reshape global financial institutions like the IMF or the WTO or establish rival institutions for non-Western countries in order to mitigate domestic Chinese concerns. Even so, China’s growing position as a nation increasingly distinct from the less-developed world may expand our common interests and make it easier for the United States to convince China to act like a responsible global stakeholder. ¶23. (C) In all likelihood, a new-found (if still somewhat grudging) PRC interest in internationally accepted donor principles such as transparency, good governance, environmental and labor protections, and corporate social responsibility will have matured in 30 years’ time, making China a reliable partner for the United States, other donor countries, and international organizations in alleviating poverty, developing infrastructure, improving education and fighting infectious disease. And as one of the world’s premier economic powers, China can be expected to have all but discarded its over-worn and outdated “non-interference” rhetoric in the face of massive Chinese investment assets and other economic interests abroad. ¶24. (C) As evidenced by Chinese policies toward pariah states like Sudan, Zimbabwe, Burma and Iran, China is still willing to put its need for markets and raw materials above the need to promote internationally accepted norms of behavior. However, the possible secession of southern Sudan (where much of the country’s oil is found) from the repressive Khartoum-based Bashir regime, the erratic treatment of foreign economic interests in Zimbabwe by Robert Mugabe, the dangers to regional safety and stability posed by Burma’s dysfunctional military junta, and the threat to China’s energy security that a nuclear-armed Iran would represent have given Beijing cause to re-calibrate its previously uncritical stance toward these international outlaws. If China’s integration into global economic and security structures continues apace, we would expect its tolerance for these sorts of disruptive players to decrease proportionately. ¶25. (C) China’s work in the Six-Party Talks and the Shanghai Cooperative Organization may provide guidance as to how to accelerate this trend. China plays a leading and often responsible and constructive role in both of these multilateral groups. Future U.S. policy-makers might usefully consider additional international mechanisms that include both U.S. and Chinese membership such as the proposed Northeast Asia Peace and Security Mechanism that may grow out of the Six-Party Talks. The Chinese themselves have suggested a Six-Party Talks-like grouping to address the Iran nuclear issue, perhaps a P5-plus-1-plus-Iran. In the future, we may wish to consider the United States joining the East Asia Summit (EAS). ¶26. (C) Likewise, as the Chinese economy takes up a larger portion of the global economy, it inevitably will become increasingly affected by the decisions of international economic and financial institutions. Similarly, China’s economic decisions will have global implications, and its cooperation will become essential to solving global-scale problems. Drawing China constructively into regional and global economic and environmental dialogues and institutions will be essential. More and more experts see the utility of establishing an Asia-Pacific G-8, to include China, Japan, and the United States plus India, Australia, Indonesia, South Korea and Russia; others say the time is ripe to include China as a member of a G-9. Giving China a greater voice is seen as a way to encourage China to assume a larger burden in supporting the international economic and financial system. ¶27. (C) The disparate possibilities exist that in the coming decades the PLA will evolve into a major competitor, maintain only a regional presence or become a partner capable of joining us and others to address peacekeeping, peace-enforcing, humanitarian relief and disaster mitigation roles around the world. China may be content to remain only a regional power, but Deng Xiaoping’s maxim urging China to hide its capabilities while biding its time should caution us against predicting that the PLA’s long-term objectives are modest. In the years to come, our defense experts will need to closely monitor China’s contingency plans and we will need to use every diplomatic and strategic tool we have to prevent intimidating moves toward Taiwan. In the coming years, Chinese defense capabilities will continue to improve. The PLA thirty years from today will likely have sophisticated anti-satellite weapons, state-of-the-art aircraft, aircraft carriers and an ability to project force into strategic sea lanes. ¶28. (C) Thirty years ago the PLA was a bloated political organization with antiquated equipment and tactics. Today, the PLA is leaner and is becoming a modern force. Chinese military and paramilitary units have participated in UN-sponsored peacekeeping missions in East Timor, Kosovo, Haiti and Africa. In December 2008, for the first time, the PLA Navy deployed beyond the immediate waters surrounding the country to participate in anything beyond a goodwill tour to combat piracy off the Horn of Africa. It is likely that China will continue to support UN-sponsored PKOs, and if the piracy expedition is successful, China might follow up with expeditions to future piracy hotspots such as the Strait of Malacca or elsewhere. ¶29. (C) Over the past thirty years, Chinese officials have come to begrudgingly acknowledge the benefits to East Asia resulting from the U.S. military presence in the Pacific, especially the extent that a U.S. presence in the Pacific is an alternative to a more robust Japanese military presence. A peaceful resolution of the threat posed by North Korea might cause China to call for an end to the U.S. base presence on the Korean Peninsula. Perceived threats to China’s security posed by Japan’s participation in missile defense or by future high-tech U.S. military technologies might cause tomorrow’s Chinese leaders to change their assessment and to exert economic pressures on U.S. allies like Thailand or the Philippines to choose between Beijing and Washington. ¶30. (C) Whatever the state of our future relations with China, we will need to understand more about the Chinese military. Multilateral training and exercises are constructive ways to promote understanding and develop joint capabilities that could be used in real-life situations. In the coming years, the Chinese may be called upon to participate in regional peacekeeping and humanitarian relief exercises. Some of these could be handled under UN auspices, but others could be bilateral or multilateral. For instance, Cobra Gold, which is held every year in Thailand, is America’s foremost military exercise in Asia. It has a peacekeeping component and since the December 2004 tsunami in Indian Ocean has included a humanitarian relief element. With proper buy-in by the Pentagon and PACOM, we could create a program to engage the PLA more directly both with our military and with friendly militaries in the region. Modest efforts at expanding search and rescue capabilities on the high seas, developing common forensic techniques for use in mass casualty events, conducting exercises with PLA units tasked with responding to civil nuclear emergencies, or table-top exercises for U.S. and Chinese junior officers could be steps that promote trust with little risk. At the same time, more frequent, regularly scheduled high-level reciprocal visits between Chinese and U.S. security officials might eventually lead to a constructive strategic security policy dialogue on nonproliferation, counterterrorism and other issues. ¶31. (C) Taiwan was the most vexing issue holding up the establishment of relations 30 years ago and remains the toughest issue for U.S.-China relations despite significant improvement in cross-Strait relations since the election of Taiwan President Ma. It will remain a delicate topic for the foreseeable future. We should continue to support Taiwan and Mainland efforts to reduce tension by increasing Taiwan’s “international space” and reducing the Mainland’s military build-up across from Taiwan. ¶32. (C) Thirty years ago, the Chinese state interfered in virtually every aspect of its citizens’ lives. An individual’s work unit provided housing, education, medical care and a burial plot. Reeducation sessions and thought reform were common, churches and temples were closed, and average citizens had little access to the outside world. Today, Chinese have far greater ability to travel, read foreign media and worship. Nonetheless, the overall human rights situation falls well short of international norms. Today, China’s growing cadre of well-educated urbanites generally avoids politics and seems more interested in fashion and consumerism than in ideology; after all, outside-the-box political thinking, much less activism, remains dangerous. However, any number of factors in the future ranging from rising unemployment among recent college graduates, or growing discontent over the income divide separating rich urbanites from poor peasants, to discontent among the mass of migrant workers could lead to unrest and increased political activism. The Chinese Government still responds with brutal force to any social, religious, political or ideological movement it perceives as a potential threat. Chinese political leaders’ occasional nods toward the need for political reform and increased democracy suggest a realization that the current one-party authoritarianism has its weak points, but do not promise sufficient relaxation of party control to create a more dynamically stable polity in the long term. Classified By: Political Minister Counselor Aubrey Carlson. Reasons 1.
risen through the ranks of the Party. End Summary. Hu Jintao as Chairman of the Board? ¶3. (C) xxxxx had told PolOff previously that he knew “on very good authority” that “major policies,” such as the country’s core policy on Taiwan or North Korea, had to be decided by the full 25-member Politburo. Other more specific matters, he said, were decided by the nine-member PBSC alone. Some issues were put to a formal vote, while others were merely discussed until a consensus was reached. Either way, xxxxx stated sarcastically, the Politburo was the “most democratic body in the world,” the only place in China where true democracy existed. xxxxx said that although there was “something” to the notion of a rough factional balancing at the top between the Jiang Zemin-Shanghai group and the Hu-Wen group, neither group was dominant, and major issues had to be decided by consensus. ¶4. (C) xxxxx asserted to PolOff March 12 that the Party should be viewed primarily as a collection of interest groups. There was no “reform wing,” xxxxx claimed.xxxxx made the same argument in several discussions with PolOff over the past year, asserting that China’s top leadership had carved up China’s economic “pie,” creating an ossified system in which “vested interests” drove decision-making and impeded reform as leaders maneuvered to ensure that those interests were not threatened. It was “well known,” xxxxx stated, that former Premier Li Peng and his family controlled all electric power interests; PBSC member and security czar Zhou Yongkang and associates controlled the oil interests; the late former top leader Chen Yun’s family controlled most of the PRC’s banking sector; PBSC member and Chinese People’s Political Consultative Conference Chairman Jia Qinglin was the main interest behind major Beijing real estate developments; Hu Jintao’s son-in -law ran Sina.com; and Wen Jiabao’s wife controlled China’s precious gems sector. ¶5. (SBU) Note: In a development that could fan the “vested interest” rumor mill, China-related websites in the United States this week were reporting that a Chinese security technology company with links to Hu’s eldest son, Hu Haifeng, was being investigated in Namibia on charges of corruption. A July 19 article in a Malaysian paper, cited by a U.S.-based dissident website, wenxuecity.com, reported that Hu Haifeng was a “potential witness” in the case but was not himself a suspect. The report said that the younger Hu was a former CEO of Nuctech and currently the Party Secretary of its parent company, Tsinghua Holding Co. Ltd. According to the China Digital Times website at the University of California Berkeley’s China Internet Project, the Central Propaganda Department on July 21 issued orders to block any reference to the case in the PRC media. End note. ¶6. (C) xxxxx, had told PolOff earlier that leaders had close ties to powerful economic actors, especially real estate developers and corporate leaders, who in some cases were officials themselves. The same was true at the local level, xxxxx stated. He claimed that these interest networks had policy implications since most local leaders had “bought” their positions and wanted an immediate financial “return” on their investment. They always supported fast-growth policies and opposed reform efforts that might harm their interests, xxxxx. Vested interests were especially inclined to oppose media openness, he said, lest someone question the shady deals behind land transactions. As a result, the proponents of “growth first” would always be in a stronger position than those who favored controlling inflation or taking care of the poor, xxxxx. ¶7. (C) xxxxx that the central feature of leadership politics was the need to protect oneself and one’s family from attack after leaving office. Thus, current leaders carefully cultivated proteges who would defend their interests once they stepped down. 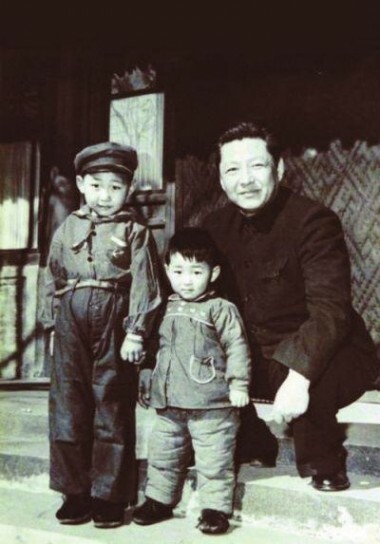 It was natural, xxxxx said, that someone like Xi Jinping, who maintained a non-threatening low profile and had never made enemies, would be elevated by Jiang Zemin and Zeng Qinghong. Xi would act to ensure that Jiang was not harassed or that Jiang’s corrupt son would not be arrested, xxxxx. ¶2. 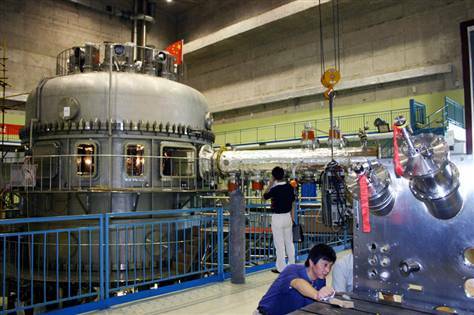 (C) In mid-December 2009, the Chinese Academy of Science (CAS) Institute of Plasma Physics (IPP) in Hefei, Anhui Province was preparing for another cycle of experiments with its Experimental Advanced Superconducting Tokamak (EAST). EAST was designed to be a controlled nuclear fusion tokamark reactor with superconductive toroidal and poloidal field magnets and a D-shaped cross-section. One of the experimental goals of this device was to prove that a nuclear fusion reaction can be sustained indefinitely, at high enough temperatures, to produce energy in a cost-effective way. In 2009, IIP successfully maintained a 10 million degree Celsius plasma nuclear fusion reaction for 400 seconds. IIP also successfully maintained a 100 million degree Celsius plasma nuclear fusion reaction for 60 seconds. One of IIP’s immediate goals is now to maintain a 100 million degree Celsius plasma nuclear fusion reaction for over 400 seconds. Currently, IIP is also conducting research into hybrid fusion-fission nuclear reactors that may be able to sustain nuclear reactions indefinitely, and at sufficient temperatures, to cost-effectively produce energy. IIP officials stated that China has the explicit goal of building at least 70 nuclear fission power plants within the next 10 years. IIP scientists claimed current Chinese nuclear energy production efforts use Uranium 235, but research is being done to make Uranium 238 a feasible alternative. IIP’s 2009 budget was USD$20 million – a two-fold increase over the previous year – and IIP leadership expects their budget to increase again in 2010. ¶1. (C) African Embassy officials told EmbOffs that many in the African community were uncomfortable with the concept of US-China development cooperation in Africa. China’s fast, efficient, “no strings attached” bilateral approach is popular in the region, as is the PRC preference for infrastructure over governance projects. African officials fear that U.S. or European interference will slow down the assistance process and tie conditions to Chinese aid. In the past, the EU angered many African countries when it proposed trilateral cooperation. The Chinese subsequently backed out of discussions citing lack of African support. In addition, African officials believe that competition between donors has had positive consequences for African development, giving the African countries options after several decades of a largely “Western” development model. Despite apprehensions, one official believed that U.S.-China cooperation could be positive if carried out with active African participation. The UK’s Department for International Development (DFID) was offered as an example of an organization that has managed to collaborate well with China in Africa. End summary. ¶2. (C) During a February 8 lunch, Kenyan Ambassador to China Julius Ole Sunkuli said he and other Africans were wary of the U.S.-China dialogue on Africa and felt Africa had nothing to gain from China cooperating with the international donor community. Sunkuli claimed that Africa was better off thanks to China’s practical, bilateral approach to development assistance and was concerned that this would be changed by “Western” interference. He said he saw no concrete benefit for Africa in even minimal cooperation. Sunkuli said Africans were frustrated by Western insistence on capacity building, which translated, in his eyes, into conferences and seminars (REF C). They instead preferred China’s focus on infrastructure and tangible projects. He also worried that Africa would lose the benefit of having some leverage to negotiate with their donors if their development partners joined forces. ¶3. (C) South African Minister Plenipotentiary Dave Malcolmson echoed the same reservations in a February 9 meeting. According to him, lessons could be learned from the EU experience in 2008. When the EU put together a policy paper on trilateral development cooperation in Africa, many African countries were annoyed because they were not consulted on the issue. They argued that the third party in these nominally trilateral discussions was conspicuously absent. They perceived this as a Western attempt to reign in China’s Africa assistance. Malcolmson said the African resistance prevented any concrete progress coming out of this initiative as the Chinese then subsequently backed out of the discussion, citing African opposition. ¶4. (C) African countries principally fear that the U.S. and other Western countries will use trilateral cooperation to try to attach governance conditions to Chinese development. Malcolmson, who previously worked at the New Partnership for African Development (NEPAD) secretariat, recalled that governance projects received a lot more support from Western donor countries than infrastructure projects. He opined that although governance, peace and security are crucial to African growth, they must be accompanied by measures to reduce poverty and build infrastructure. ¶5. (C) Malcolmson echoed Sunkuli’s comment that African countries also fear losing their bargaining power. China’s emergence in Africa as a counterbalance to U.S. and European donors has been very positive for Africa by creating “competition” and giving African countries options. He recalled that after the 2006 Forum on China-Africa Cooperation (FOCAC) summit, when China announced its commitments to Africa to much international media fanfare, traditional donors changed their attitude. They recognized that they had to measure up to China and “came calling.” The EU proposed infrastructure projects (after having defacto given up supporting these types of projects) and the World Bank began to support more agriculture projects. ¶6. (C) Malcolmson clarified that if U.S.-China cooperation leads to a real escalation of resources then it could be a positive step, but many Africans expect that it would slow down development. He cited the DFID’s relationship with China as an example of healthy cooperation. DFID’s success has come from focusing on small projects and working largely outside formal channels (REF A). Malcolmson recommended working through regional African organizations like the Comprehensive Africa Agriculture Development Programme (CAADP) as a way to alleviate African concerns. If both China and the United States contribute resources to promising African development projects, then Africans will welcome trilateral cooperation. He said this would have the added benefit of encouraging the Chinese to venture beyond bilateral development assistance and support regional projects. ¶7. (C) Sunkuli and Malcolmson’s comments are a potential warning sign as the USG prepares for the upcoming U.S.-China Sub-Dialogue on Africa. As the PRC continues to stress a policy of “non- interference” in the internal affairs of other countries, China could well use any voiced African opposition as an excuse to stop or slow progress on further discussions or collaboration. We should be careful to pick projects that would have broad support within the African community, preferably African-initiated and led, to get the development cooperation dialogue started on the right foot. In addition, we should clearly articulate the benefits of our cooperation to our African counterparts and include African voices in the debate on the U.S.- China-Africa relationship. 7 Comments to "Tales from the Beijing Embassy"
For the sake of the future of humanity and of civilization one hopes that East Asians will prove themselves to be as capable of advancing science as Westerners have been. So far this has not been the case. I’ve seen a table ranking various countries on hard science Nobels per capita. Japan, the Asian leader on this metric, had many times (8 or 9 times if I remember correctly) fewer of these than leading Western nations. Unlike China, Japan cannot use underdevelopment with regard to its full potential as an excuse. 1) For science rebelliousness is better than respect for authority. Rebelliousness + intelligence = new ideas. Respect for authority + intelligence = peace and prosperity, political stability. Perhaps the two systems are simply optmized for different outcomes. 2) An interest in objective truth is uncommon everywhere, but surely it must be a little more common in some places than in others. In everyday social interactions instinctive literal-mindededness would be expected to come out as bluntness, directness, often as rudeness. A mindset adapted to social situations would come out as the opposite of all that. But what’s useful in dealing with people is often useless or even harmful when dealing with inanimate objects and abstract ideas. Ideas don’t have feelings and don’t take offense, so a cold-bloodedly rational approach works best with them. Popular stereotypes about different cultures’ propensity for directness and indirectness may be relevant here. Anyway, I hope I’m proven wrong about all this by future events. Very interesting points, glossy! It is true that scientific thinking is a very particular type of thought process that is often "counter-intuitive" to human nature, given that we humans tend more to mystical mode of thinking (i.e., magic, religion, etc). However, I have no doubt that any human society, no matter the culture or traditions, could successfully pursue world-class scientific research, if the government of that society decides this is a priority and allocates resources. Scientific cadres could be developed in the same manner as, say, Olympic-level athletes: have scouts spot the talent at a young age, bring them together into training institutions, give them great teachers and coaches, and throw a lot of money at the process. Nobel prizes will inevitably follow in a generation or so. It's a formula that works every time, since the time of Archimedes. "With just a fraction of the science and technology funding of developed country universities, Chinese institutions are managing to produce ground-breaking work in esoteric spheres such as nuclear fusion, quantum communications and nanotechnology." For the sake of the future of humanity and of civilization one hopes that East Asians will prove themselves to be as capable of advancing science as Westerners have been. So far this has not been the case. I've seen a table ranking various countries on hard science Nobels per capita. Japan, the Asian leader on this metric, had many times (8 or 9 times if I remember correctly) fewer of these than leading Western nations. Unlike China, Japan cannot use underdevelopment with regard to its full potential as an excuse. 2) An interest in objective truth is uncommon everywhere, but surely it must be a little more common in some places than in others. In everyday social interactions instinctive literal-mindededness would be expected to come out as bluntness, directness, often as rudeness. A mindset adapted to social situations would come out as the opposite of all that. But what's useful in dealing with people is often useless or even harmful when dealing with inanimate objects and abstract ideas. Ideas don't have feelings and don't take offense, so a cold-bloodedly rational approach works best with them. Popular stereotypes about different cultures' propensity for directness and indirectness may be relevant here. Anyway, I hope I'm proven wrong about all this by future events. Very interesting points, glossy! It is true that scientific thinking is a very particular type of thought process that is often “counter-intuitive” to human nature, given that we humans tend more to mystical mode of thinking (i.e., magic, religion, etc). However, I have no doubt that any human society, no matter the culture or traditions, could successfully pursue world-class scientific research, if the government of that society decides this is a priority and allocates resources. Scientific cadres could be developed in the same manner as, say, Olympic-level athletes: have scouts spot the talent at a young age, bring them together into training institutions, give them great teachers and coaches, and throw a lot of money at the process. Nobel prizes will inevitably follow in a generation or so. It’s a formula that works every time, since the time of Archimedes. Wikileaks for Kremlinologists: Was interested yesterday to read that Medvedev came out in support of Julian Assange and even proposed him for Nobel Peace Prize. This contradicts Rogozin, who earlier came out critical of Mr. Assange and practically accused him of being British agent disseminating disinformation. Well, since Brits imprisoned Mr. Assange without bail, that seems proof that he is not agent. Personally, I think Julian is exactly who he says he is, a crusader for freedom of information. Every country has something to hide, including Russia, but since America is main target of leaks (due to their own stupid incompetence in securing their data), this probably nets positive for Russia. Initially maybe I was a bit suspicious of Assange, there were rumors he was financed by Soros, etc. But now it comes out that he received donations via paypal; and, really, it doesn’t take that much money to hack into computers, could be a fairly cheap operation, just a few salaries and a lot of hardware. So, I agree with Medvedev, I think Julian should get prize. 1) Their operating costs are about $250,000 per year. They don't need Soros for that. 2) The alpha dog saith: "If it is full democracy, then why have they hidden Mr. Assange in prison? That's what, democracy?... So, you know, as they say in the countryside, some people's cows can moo, but yours should keep quiet. So I would like to shoot the puck back at our American colleagues." The Russian leadership has figured out it can head off a "murder by alpha emitting isotope" smear job at the pass. There was lots of talk about Russia being livid at Assange for releasing some dirt. And as "everybody knows" the FSB does not kid around. Now the west will have a harder time to pin a potential Assange elimination on those evil Russians. Assange has just received the biggest boost to his survival chances thanks to the Kremlin. Wikileaks for Kremlinologists: Was interested yesterday to read that Medvedev came out in support of Julian Assange and even proposed him for Nobel Peace Prize. This contradicts Rogozin, who earlier came out critical of Mr. Assange and practically accused him of being British agent disseminating disinformation. Well, since Brits imprisoned Mr. Assange without bail, that seems proof that he is not agent. Personally, I think Julian is exactly who he says he is, a crusader for freedom of information. Every country has something to hide, including Russia, but since America is main target of leaks (due to their own stupid incompetence in securing their data), this probably nets positive for Russia. Initially maybe I was a bit suspicious of Assange, there were rumors he was financed by Soros, etc. But now it comes out that he received donations via paypal; and, really, it doesn't take that much money to hack into computers, could be a fairly cheap operation, just a few salaries and a lot of hardware. So, I agree with Medvedev, I think Julian should get prize. 1) Their operating costs are about $250,000 per year. They don’t need Soros for that. "Если демократия, тогда полная. Зачем же господина Ассанжа в тюрьму упрятали? Это демократия? У нас в деревне так говорят: чья бы корова мычала, а ваша бы молчала. Вот какую я хочу нашим американским коллегам послать ответную шайбу", - добавил Путин. “Если демократия, тогда полная. Зачем же господина Ассанжа в тюрьму упрятали? Это демократия? У нас в деревне так говорят: чья бы корова мычала, а ваша бы молчала. Вот какую я хочу нашим американским коллегам послать ответную шайбу”, – добавил Путин. The Russian leadership has figured out it can head off a “murder by alpha emitting isotope” smear job at the pass. There was lots of talk about Russia being livid at Assange for releasing some dirt. And as “everybody knows” the FSB does not kid around. Now the west will have a harder time to pin a potential Assange elimination on those evil Russians. Assange has just received the biggest boost to his survival chances thanks to the Kremlin. I am East Asian(who also happens to like science and maths) and finds Glossy’s observations interesting. Agree with point #1. We Chinese love political stability and economic prosperity. If more human rights and democracy will lead to political instability, we are ok with less human rights and democracy. Chinese are a pragmatic people. As long as it works, we don’t really care or want to be(or maybe pretend to be?) moral purists like Westerners. Even I, a rather “Westernized” Chinese, view the Tianenmen Square incident as necessary to maintain law and order in China – one can argue the ‘morals’ of squashing the demonstrators , but it worked to prevent chaos. Politics is harsh , evil and ruthless – and we Chinese have always accepted politics as what it really is. The Japanese and Korean cultures borrowed and modified the cultures of the Tang ,Sui and Han dynasties – especially Tang. Although some may find this ‘racist’, in general, I’d say that people of European descent are probably more ‘innovative’ and ‘original’ in ideas compared to us East Asians(Chinese/Japanese/Koreans). We do innovate, but we are often not ‘original’ – we copy from others and improve on them. I’m not sure whether this is due to ‘purely’ cultural differences or has some biological basis. I myself think that all ‘cultural’ differences are rooted in both nature(biology) and nurture – it’s hard to say which is more important in any particular ‘trait’. I find, in spite of my own propensity to rebel(atypical for a Chinese – probably that’s changing with the younger generation due to “Western” influence which ‘celebrates’ challenging authorities/rebelling) , less ‘original’ in ideas compared to Westerners or people of European descent doing the same field, in spite of my trying to be ‘original’. And I fear too much that “Western” influence on our youths don’t make them great scientists but instead loud-mouth oppositionists / liberals/ democrats who rebel for the sake of rebelling and would undermine the stability that our current generation have sought to build in spite of nosy interference of the USA. I’d advocate the formulae you’ve stated astutely: “rebelliousness + intelligence” = new ideas for science and maths ; ‘respect for authority + intelligence’ = peace, prosperity, political stability in the political realms – this formula should be taught to our youth in East Asia! In fact, many of us in the East have come to realize this but Hollywood and America has corrupted our youth. Point # 2: I think the ‘indirectness’ applies more to Koreans and Japanese. The Chinese in China have lost much of that trait and I, a diaspora in Nanyang(South East Asia) have too much of “Western” influence to ever have this ‘indirectness’ trait. Chinese civilization was ‘original’ and ‘autochthonous’ unlike Korean and Japanese who borrowed from us. When the First Emperor Qin Shih Huang wanted to consolidate Feudal Zhou polity during the Warring States era, he snuffed off scientific and philosophy in ancient China because he feared these scholars may fan rebellion against his regime. We became a race of culture but stagnate scientifically. Perhaps, we Chinese(and by extension all other East Asians) can learn to be ‘original’ in science again? We’ll see.